Kenneth M. Hitt, 75, passed away on December 27, 2016. He was preceded in death by his wife, Helen Lopp Hitt , his parents, Fred and Alice McCasland Hitt, his sister Edith Flint and brothers Wade and Bobby Hitt. He is survived by his daughter Karen Carnes of Murfreesboro, TN and sons Wesley (Sissy) Hitt of Arrington, TN and Tim Hitt of Gallatin, TN; grandchildren Kelsi, Cagney, and Carley Carnes, Hayden and Mason Hitt; sister Polly Adcock and brother Mickey Hitt. Also surviving are a host of brother and sister-in-laws, nieces and nephews, great- nieces and nephews and great-great nieces and nephews, cousins, friends, and the staff of Fountains of Franklin Senior Living. 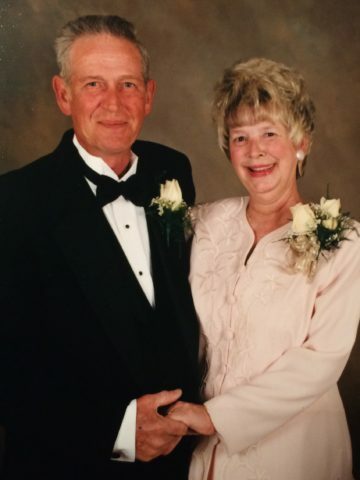 Kenneth was a lifelong resident of the Union Hill community in Goodlettsville, TN. He worked at DuPont in Old Hickory, TN and then Oscar Meyer in Goodlettsville for over thirty years. After his retirement, he worked for the City of Goodlettsville for ten years. Visitation will be at Cole & Garrett Funeral Home, Goodlettsville, TN Mon. Jan.2nd from 4-8pm and Tues. Jan. 3rd from 10-12. Funeral service will begin at 12 noon on Tues. with burial to follow at Forest Lawn Memorial Gardens. The entire unit was sorry to learn of the passing of your father. We had all had kept up with his situation daily during his hospital stay. Everyone sends their prayers, concerns, and warmest thoughts for you and four family at this time. It is our hope that the next few days go as well as can be expected, and we are there to support you. I am so sorry to hear of your father’s passing. Know he has struggled but we can rejoice in knowing all pain is gone and eternal life has begun. In John 5:24 Christ ends His assurance with “passed from death to life”. Knowing this gives us peace as we grieve for your father. Wes my heart goes out to you and your family and please know you are in my thoughts and my prayers. We will so miss your sweet dad! We were so lucky to have him as long as we did. Our thoughts and prayers are with you all. Ken and Helen were good people. When my mother married shorty they were happy as any teenagers. This allowed us to meet the Hitt family and has been our families privilege to know all you. for yet one more excellent informative post, Iâ€™m a loyal reader to this blog and I canâ€™t stress enough how siciifngantly valuable details Iâ€™ve learned from reading your content. I really appreciate all the hard work you put into this great blog.